The continual stream of high quality Canadian folk roots music into the UK is no showing little sign of abating, with the latest artist to have their profile raised on the right side of the pond being Ontario-based singer-songwriter Jadea Kelly. Although CLOVER has been widely available for a few months now, it is getting a more formal release at the end of November and this renewed impetus will hopefully open a few doors in new markets for Jadea. Not that this will be too difficult as she possesses a voice that pierces your heart with an aching beauty and from start to finish the sublime sound of the record melts effortlessly into your senses. In this her third studio album, Jadea has successfully weaved a slice of rural substance into a slick urban production to interpret a truly stunning mix of traditional and contemporary influences. Jadea’s close family connection with the land has had a substantial impact on the making of CLOVER, named after her grandfather’s farm, and the raw talent honed on the great rural tradition of communicating through song lays the foundation of the record. However what brings the album to life is the Toronto production of Stew Crookes which takes the sound to the very limit of an record with folk credentials, yet never sways from the dedication to allow space for Jadea’s vocals to flourish. The laid back opening chimes hook you into the stand out track of the album as ‘Powell River’ sets an incredibly high standard that the other ten songs make a valiant effort to match. The vocal freedom that graces this collection will appease any winter’s evening and brighten up this oncoming season of shortened days. The enchanting and mesmeric ‘Wild West Rain’ leads off the record and is the one track earmarked for promotion via the embedded video available. The mid-section of the album sees a gradually intensifying of the production with an enhanced beat and especially sees the guitar moving up a notch on the lauded track ‘Hour North’. 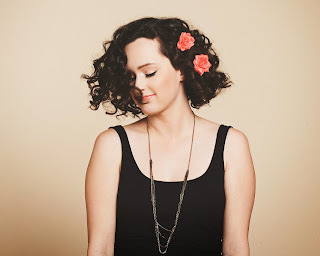 Musically, Jadea has had some fairly diverse recent experiences which have included working with Canadian folk legend Catherine MacLellan and a Canadian metal band. It is fair to say the vibes of CLOVER sway more to the former but this is far from a stereotypical folk record as exemplified by the synth bass which pushes the potential of this album into more popular circles. If this direction succeeds a whole new fan base will have a special voice to treasure, either way the niche core market that fully appreciates this rare talent will embrace the strands of beauty that yields from the soul of Jadea Kelly. Following the directional peaks of the mid tracks, a return to a softer appeal takes the record through the final strains of this 44 minute pleasurable listening experience culminating in the trance-like tones of five-minute closer ‘Violet’. The temptation to hit the repeat button at this point is addictive and not just to expose you to the magic of ‘Powell River’ again, so good it got a mention twice. Comparisons have likened Jadea to the melodious dulcet tones of Iris Dement and this is a thoroughly appropriate compliment. 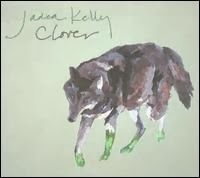 Exposing yourself to CLOVER is just the tonic until we adjust the clocks back again in the Spring and beyond, by when Jadea Kelly may well have paid us a visit to bring the record truly to life.